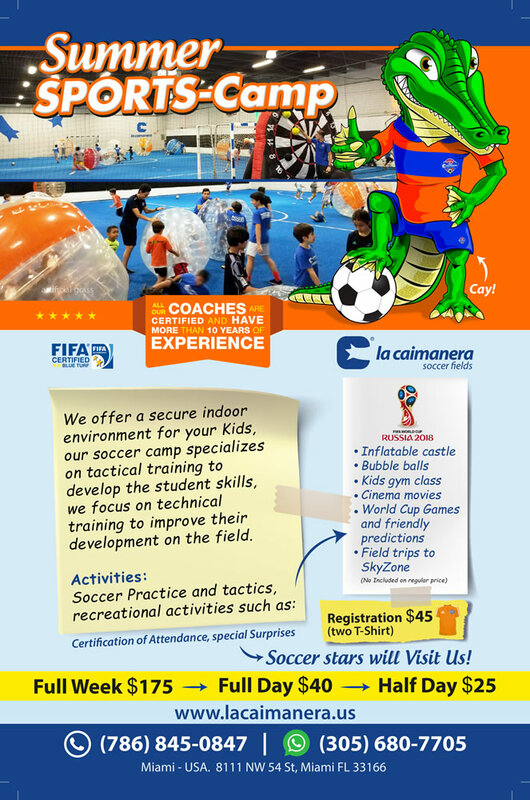 The best Summer Camp is at La Caimanera Soccer Fields! Your little ones will have a great time, they will develop soccer skills from the best coaches in the city and in the most complete indoor soccer facilities in Doral. We have air conditioning, artificial turf with FIFA certifications, bathrooms / dressing rooms, closed circuit camera system and much more. The activities begin in June. 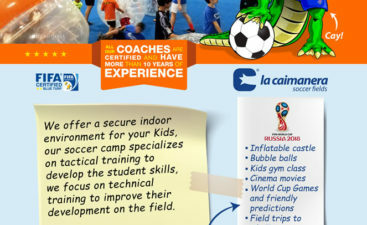 The Summer Camp of La Caimanera Soccer is for boys and girls from 3 to 12 years old. The children will make field trips and special activities on Fridays, fun and sports in one place!. We have 10% discount for brothers or family group and daily and weekly plans, Contact us. - Field trips and special activities all fridays!